We are sure you are looking forward to planning your Easter family holidays as it is the perfect time to get away with your loved ones. With the holiday fast approaching, you may be asking yourself a couple of questions like what are the best Easter destinations for family holidays. These questions can become even harder when you only have the bank holiday weekend to spend with your loved ones. This is why we’ve decided to lend a hand by providing you with a list of our top 5 Easter holiday destinations in Europe guaranteed to give you a splendid family vacation. There are many reasons as to why the Veluwe has made its way to the top of our list of Easter holiday ideas. Firstly, the picturesque landscape with its nature filled surroundings makes it perfect for Easter egg hunting with the kids. Secondly, its at this exact time of year that the famous tulips are blooming all across the country, not to mention how they make for the perfect kodak moments with the family. You can also hire bikes from numerous places and explore the nature park with a hearty picnic and some chocolate Easter eggs. Wondering where to stay while visiting the Veluwe? Well we’ve got you covered, simply click the button below to explore the options. Second on our list for a great Easter vacation with your family is the West Flanders region in Belgium. With the amount of attractions there is plenty to do and you are sure to never have a dull moment. The medieval city of Bruges offers beautiful views with its canals and buildings, not to mention its chocolate factory, a great surprise daytrip for the kids! Considering the North Sea is located on the coastline of the province, you can also decide to have your family Easter egg hunt at the beach and give the children an exciting experience. How about a trip to a castle? You can visit the Wijnendale Castle which has a high historic value and captivating tours. Browse through our list of holiday parks in West Flanders to see which best suits your family’s needs. You may be asking yourself what Easter holiday ideas are there in Germany. Well, Germany has quite a number of Easter traditions like Easter egg hunts as well as Good Friday celebrations which makes it the perfect destination. However, one of the main reasons we think Germany is a great place for Easter is because of its amazing holiday park; Lindner Nürburgring holiday park. The holiday park has the perfect blend between wellness and children facilities. This means that you can take some well-deserved rest and relaxation time away from the hustle and bustle of the city while the kids are kept entertained with the Kids Club. When it comes to all things about the Netherlands, we are the experts as we know all the best spots and places. You can therefore trust us when we say that Amsterdam is one of the many great places to go for a Easter vacation. As much as it’s great for a city break, you can also see some of the beautiful nature of the Netherlands like the colourful tulips and explore the city on bikes as a family. The absolute must-see attraction for the young ones this Easter, is the Artis Royal Zoo as it’s the perfect place for the animal loving kids and the parents who are eager to capture perfect pictures. It is also located in the centre of Amsterdam so you do not have to commute for a long time if you are with toddlers. 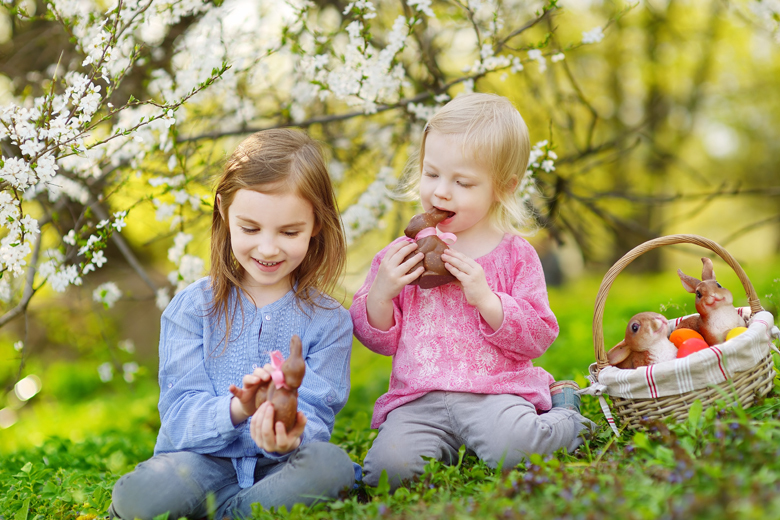 You can also join the kids in different Easter traditions such as Easter egg hunts, egg decorating, festive treats, a scavenger hunt and before you know it you have an entire family photo album. So where is the best place to stay? There’s a great EuroParcs Resort just 15 minutes away from Amsterdam, so if the kids do exhaust themselves out at the zoo you can get them home to sleep in no time at all. Last but not least, we have one more perfect Easter holiday destination in Germany near the Baltic Sea. Sure in the UK we have Brighton beach at home but at this seaside area there is more than enough sand for the kids to build sandcastles and get their kites soaring high through the wind. Fancy a trip to the amusement park? Then you can simply visit Hansa Park and treat the kids to some exciting and thrilling rides. We highly recommend staying at the HansaPark Resort where you can also take advantage of the sauna and the other facilities. If you are looking for more Easter family holidays then we at HolidayparkSpecials have got you covered! Simply scroll through to view our list of cheap Easter deals. Now that you have some great Easter holiday ideas in your back pocket it’s time to refresh your memory of the important Easter 2019 dates so you know exactly when to book your Easter vacation with the family.